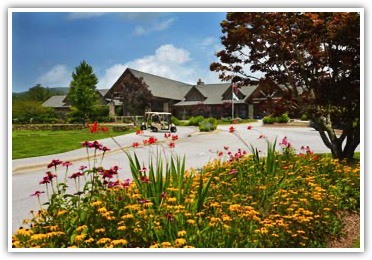 Sapphire National Golf Club, conveniently located in Sapphire Valley Resort area, boasts premier playing conditions, tranquil mountain views and dramatic elevation changes. 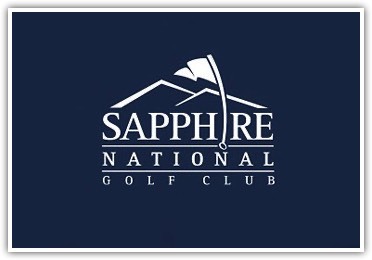 Sapphire National Golf Club is the only 18 hole golf course in the Highlands, Cashiers, and Sapphire region that is open to the public. Recipient of the prestigious 4 ½ star golf course rating from Golf Digest; the golf course also recently completed a multi-million dollar renovation. Sapphire National Golf Club offers the ultimate memorable experience for all avid golfers, from its dramatic par 4, 13th hole that is nestled beside a majestic waterfall, to the postcard Par 3, 15th hole that hosts an island green. A pristine 18 hole golf course designed by renowned golf course architect, George C. Cobb and opened in 1956. Unique among mountain courses, it combines the beautiful vistas of a high mountain valley with the playability of a traditional level course. 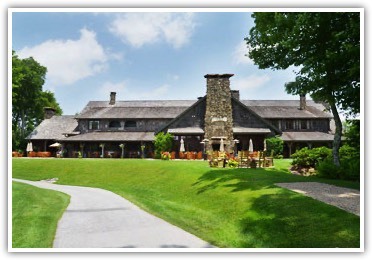 Laced with trout streams, dotted with ponds and surrounded by large wooded private properties set back from the course, Sapphire Valley is truly the “Gem of the Mountains”. Through the years the course has been enhanced with updated greens, tees, bunkers and an extensive drainage system, while maintaining the integrity of the course’s original classic design. Complementing the course is a state of the art practice facility complete with an extensive short game practice area, featuring a large bunkered green, accommodating practice of every variety of chipping and pitching skill. The driving range features a large, bent grass tee as well as an artificial surface and full-sized target greens for full-swing training. 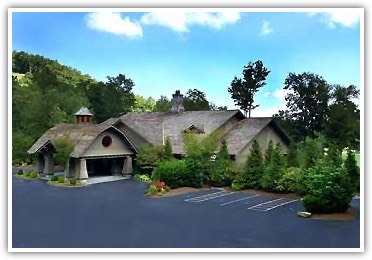 Considered by many to be the finest golf course designer of modern times, Tom Fazio, a resident of neighboring Hendersonville, NC, has crafted a true masterpiece at Mountaintop. 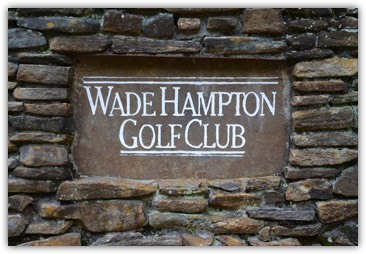 Wade Hampton Golf Course is often referred to as “Tom Fazio’s Masterpiece”. The course was named as the “Best New Private Course for 1987” by Golf Digest magazine, and is one of only three courses built in the last fifty years to be currently ranked in their top 20 courses in the United States. 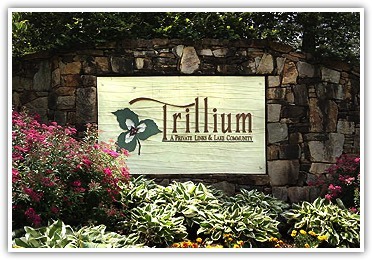 Golfweek magazine has also recognized the course as the “America’s Best Residential Golf Course”. Measuring 7,218 yards from the back “Fazio” tees, the course is enjoyable and challenging for golfers of many skill levels. 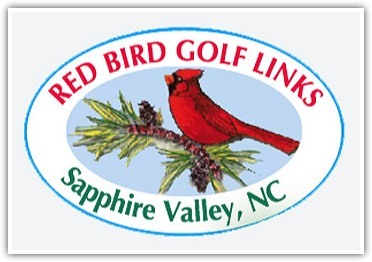 Red Bird Golf Course is located in the heart of Sapphire Valley on what was part of the original farm land for the resort. 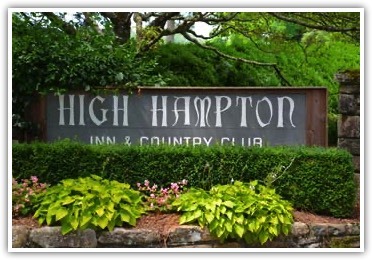 It was purchased in 2008 and is open to the public and offers a fun and friendly atmosphere for all types of golfers. Our 32 acre 9 hole executive course boasts 6 par 3's and 3 par 4's. It's easy to walk and beautifully set along the picturesque Horsepasture river. Perfect for a great game of golf or practice round to prepare you for any of the surrounding championship courses, this course presents a challenge for both the serious handicapper AND the casual golfer. Featuring 3 different tee placements, a Driving Range, practice putting green, a fully stocked Pro Shop, 2 golf professionals on staff, electric carts and pull carts are available as well. Our special events include: a weekly golf clinic, a junior golf program, four week "after school" golf programs, seasonal weekly four person golf scrambles and refreshments, and a Fall "Big Cup Challenge" golf tournament. Although we are open to the public, our members and time-share guests are special to us here at The Red Bird Golf Links. All members are entitled to; reduced green fees, reduced annual passes, priority on tee times, scrambles, clinics and tournaments, email notification of all upcoming events and promotions. Red Bird Golf is open daily 8am-6pm, weather permitting. Designed by the late, eminent golf course architect, George W. Cobb, ASGCA, this North Carolina golf course features bent grass greens and plays at 6,012 yards from the back tees. The par 3, 137-yard famed 8th "island” hole - upon which Golf Digest bestowed the title "One of America's Great Golf Holes" - is rivaled by 17 others, each one equally beautiful and equally challenging. All courses are 18 holes unless otherwise noted.